We were thrilled to see the LBD Art Deco Drops in marble from Toolally spotted in Marie Claire magazine. 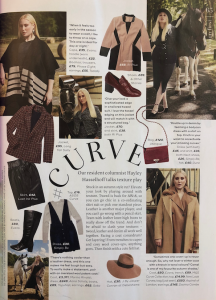 Included in their autumnal #curve feature, they made the perfect seasonal statement. Get your Toolally LBD Art Deco Drops as featured in Marie Claire here.